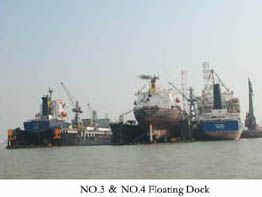 Yiu Lian Dockyards (She kou) Ltd., was founded in 1989 and now has moved to a new location at MAZHOU Island, at delta of Pearl River, in order to provide higher levels of demand for its Ship-repair activities. The capacity of the Shipyard has been significantly increased by the investment being made in the new facilities, by china Merchants Group. 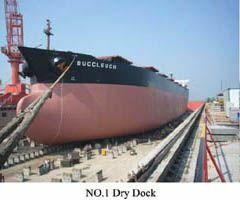 As a wholly-owned subsidiary of China Merchants Industry Holdings Co., Ltd., Yiu Lian Dockyards (She Kou) Ltd., founded in 1989, focuses on repair and conversion of various ships and offshore, as well as steel work. Admitted by State-owned Assets Supervision and Administration Commission, China Merchants has achieved rapid growth and fulfilled five-year plan in advance. Keeping in touch with the solid step of the Group, Yiu Lian Dockyards (She Kou) Ltd., continually focuses on expansion and stresses restructuring, asset optimization and management upgrading. 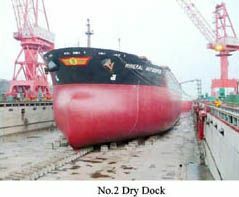 With rich experience and high-quality team work, Yiu Lian Dockyards (She Kou) Ltd., has successfully completed repair of all sorts of vessels and rigs at home and abroad, which enhances good reputation of Yiu Lian for its profession. 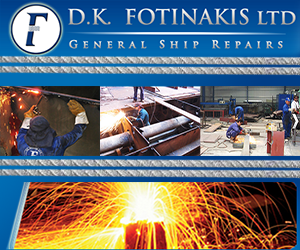 In respect of management, Yiu Lian Dockyards (She Kou) Ltd., is certified to conform to Quality Management System Standard ISO9002, ISO9001:2000, and OHSMS respectively in October 1997, April 2003 and February 2007, which are the best proof of our safety management.